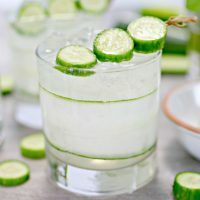 If you are looking for a super fresh summer drink, look no further than this refreshing Skinny Cucumber Gin and Tonic Cocktail! This twist on the classic gin and tonic has a spa like touch and is completely guilt free…you’ll definitely want to sip these by the pool! 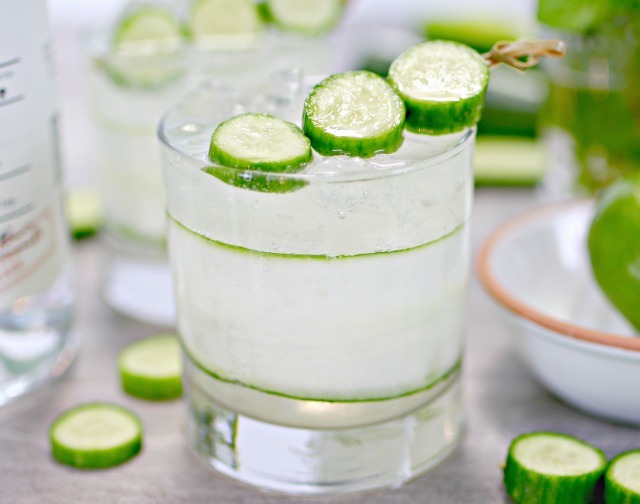 What’s in a Skinny Cucumber Gin and Tonic? Scoop out the center of a large English cucumber. Add the cucumber and lime juice to a bowl and muddle together. Strain through a small mesh strainer. 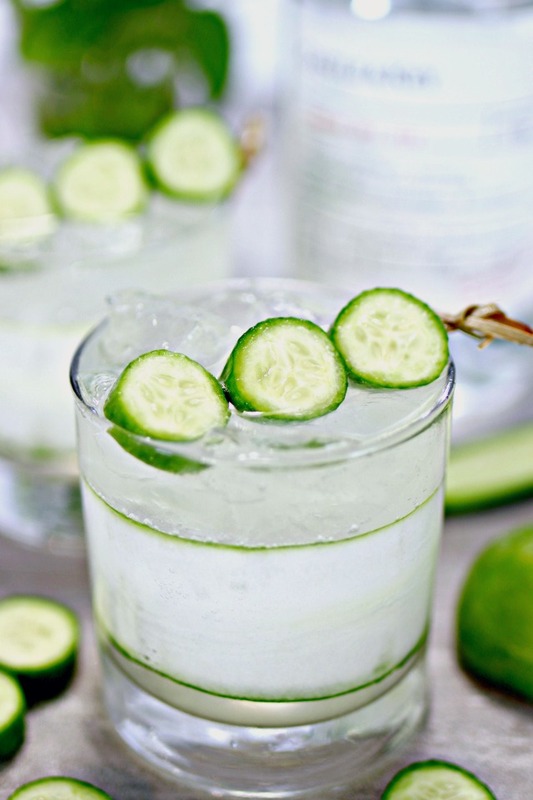 Fill a glass with ice, and pour in the cucumber and lime mixture. Add gin, and top off with diet tonic water. 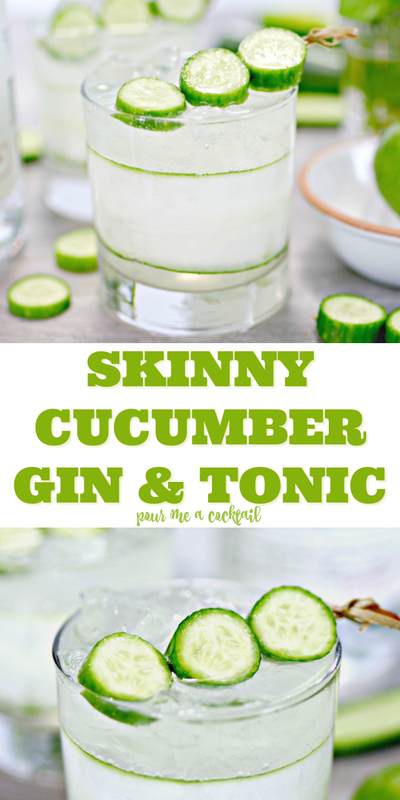 I hope you enjoy my Skinny Cucumber Gin and Tonic this summer! 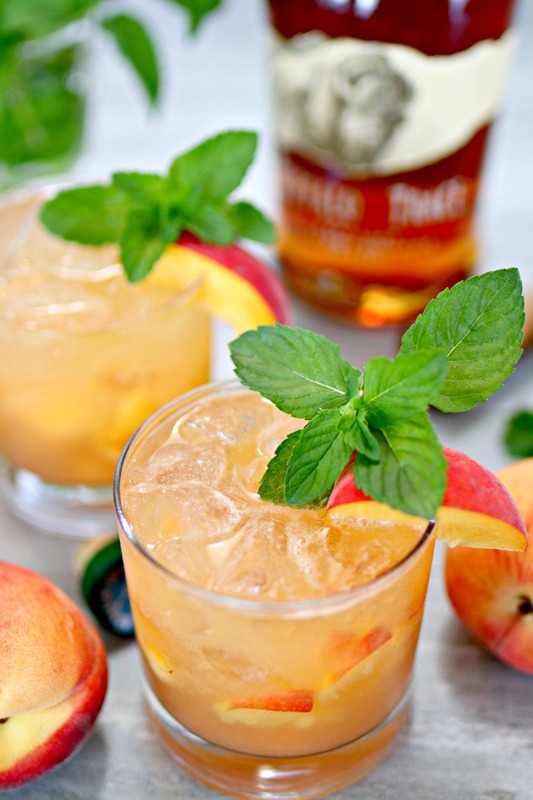 When you mix sweet Georgia peaches and Kentucky bourbon, you get one of the most amazing cocktails ever…I give you the Bourbon Peach Smash! It’s to die for! 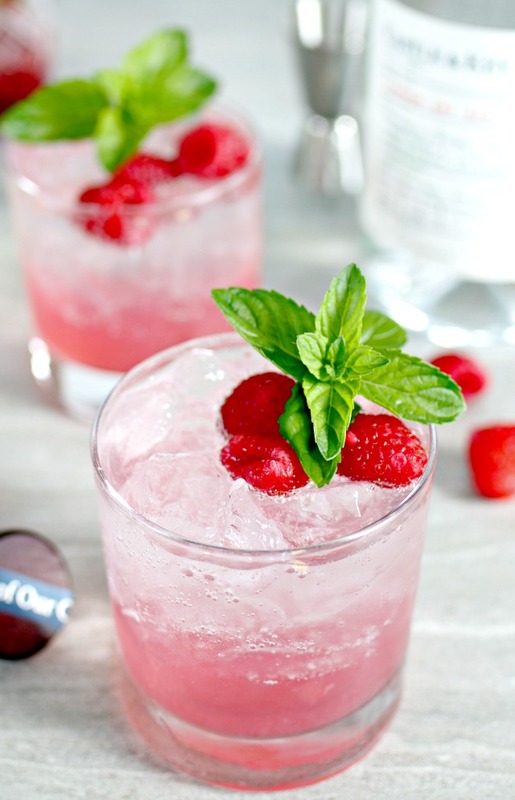 Another super refreshing gin drink is this amazing Raspberry Gin Fizz. It’s one of my favorite summer drinks, and has become my go to summer refresher! 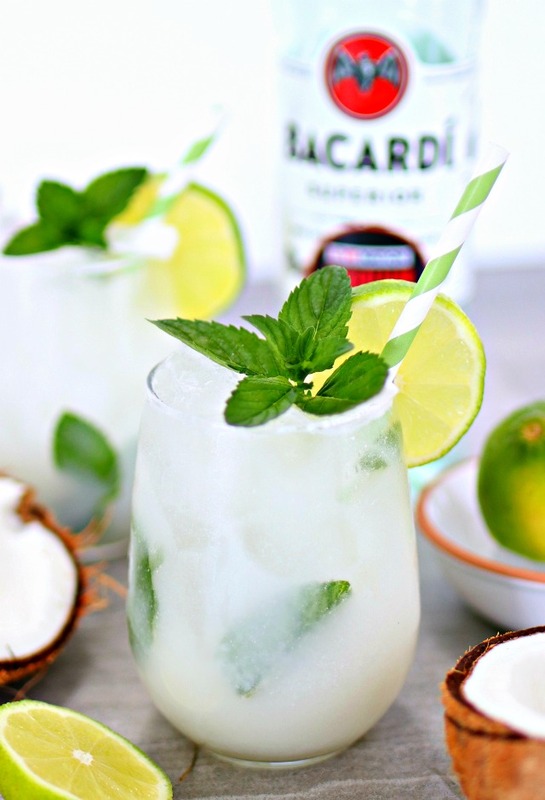 A truly tropical summer drink is this Coconut Mojito…I’m not sure if there is a more delicious, beach inspired drink around!